ANSONIA — Whether you’re craving Mediterranean bass with Cajun spices, a Cuban sandwich, sesame chicken, potato pancakes or a pepperoni pizza, downtown Ansonia is fast becoming a recipe for success for all types of tasty cuisine. Main Street is now home to 18 restaurants, many which have opened during the past year or so, and the most ever in downtown’s history, officials said. The area is quickly transforming into a melting pot of sorts, satisfying the public’s taste buds with restaurants specializing in American, Latin, Polish, Italian and more. The latest restaurant to join the downtown scene is Chifrijo, located in the former Vonetes luncheonette at 242 Main St. and specializing in Latin cuisine, with a splashy, Miami-club décor. Before that, city officials welcomed Palma Restaurant, offering Spanish/American cuisine at 252 Main St. Soon the city will celebrate the grand opening of the newly expanded and relocated Massiminos Ristorante at 85 Main St.
Last year, Ansonia opened its doors to the Bangkok Room and Casa Bianca Pizza. A couple years earlier, the Polish eatery Warszawa came to town. And Crave, at 102 Main St. since 2007, continues to be popular. 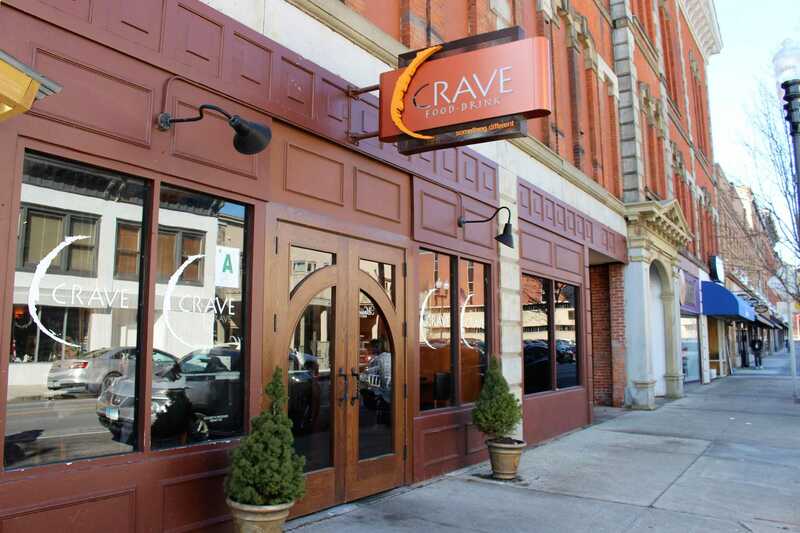 Mayor David Cassetti said downtown is becoming a “dining destination,” and is excited to see restaurants like Crave and Massiminos reinvesting with recent expansions. Economic Development Director Sheila O’Malley said restaurateurs are taking notice of a “vibrant energy” on Main Street. Scott Dolch, executive director of the Connecticut Restaurant Association, is rooting for downtown to thrive for years to come. Dolch believes variety is the spice of life and said the unique food offerings “bode well for Ansonia and the Valley” at large. William Luneski, chairman of Ansonia’s newly recharged Economic Development Commission, and small business owner here, said the commission is developing a new app for Smart phones and website, promoting the city’s 30+ restaurants. Both Luneski and O’Malley said the recent restaurant boom has far-reaching effects. Greg Martin, Ansonia’s director of constituent services, concurred. Seymour resident Diane Trevelin recently frequented Copper City Bar & Grill with a group of friends and enjoyed its “friendly atmosphere and good food.” She said it’s nice having a variety of places to dine, all in such close proximity to each other.